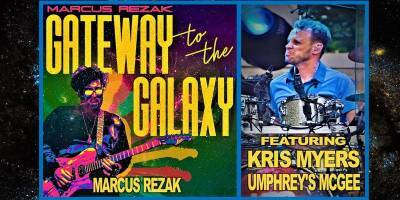 5-6pm Music Clinic & Masterclass with Kris Myers (drums-Umphrey's McGee) and Marcus Rezak (guitar) ADVANCE: $20 CLINIC/$30 CLINIC&SHOW DAY-OF: $30 CLINIC/$40 CLINIC & SHOW Click for tickets to this clinic! VENUE: 210 Live offers the best live entertainment on the North Shore Wednesday through Sunday. The urban chic ambience creates a perfect setting for live music and private parties, with clear site-lines and great acoustics throughout. Free Valet. Located at the Highwood Metra stop. Featuring a simple Venue Menu 210live.com/venuemenu featuring flatbreads, soups, salads and more for your music enjoyment sustenance.